Includes all required mounting hardware and bubble level! 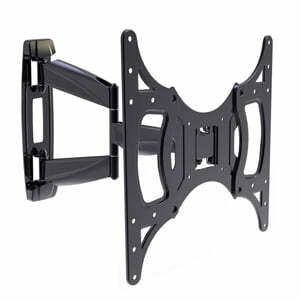 SKU: IQMS2650 Categories: TV Wall Mounts for 13" - 42", TV Wall Mounts larger than 42"
The IQ IQMS2650 Full Motion Articulating TV Wall Mount fits most 26″ to 50″ flat panel HDTVs and can support up to 120 kg. – Maximum screen size – 50 in. – Includes all required mounting hardware and bubble level.